CIO Magazine wordt verzonden naar de abonnees en via wisselverspreiding naar de belangrijkste CIO’s, CFO’s, CPO’s, COO’s Direct Reports, IT-Directeuren, demand- en supplymanagers, adviseurs van Nederland, alsmede naar de adverteerders. CIO Magazine verschijnt 4 maal in 2019, met voorafgaand aan de CIO Day een extra dikke special..
De kosten van een abonnement bedragen €100 per 12 maanden. Het abonnement omvat 4 print edities en toegang tot de online content op het IT-executive portaal. If one field has changed in a revolutionary way in the last few years, it must be sourcing. What is going on? Economic developments have made the classical approach and traditional contracts obsolete. Speed, agility and outcome-based cooperation are the keywords now. This can be done by means of cloudsourcing, an agile way of working and in ecosystems. This issue of CIO Magazine is dedicated to three game changers in sourcing: cloud, agile and ecosystems. working is concerned? How to scale up agile? transformation? 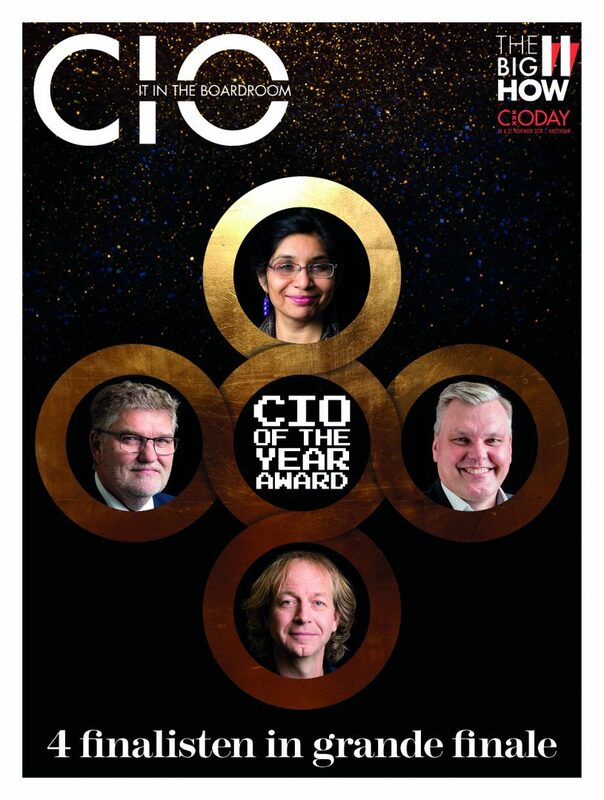 Extra: a special about CIODAY2019 – all about the conference and the competitors for the CIO of the Year Award.